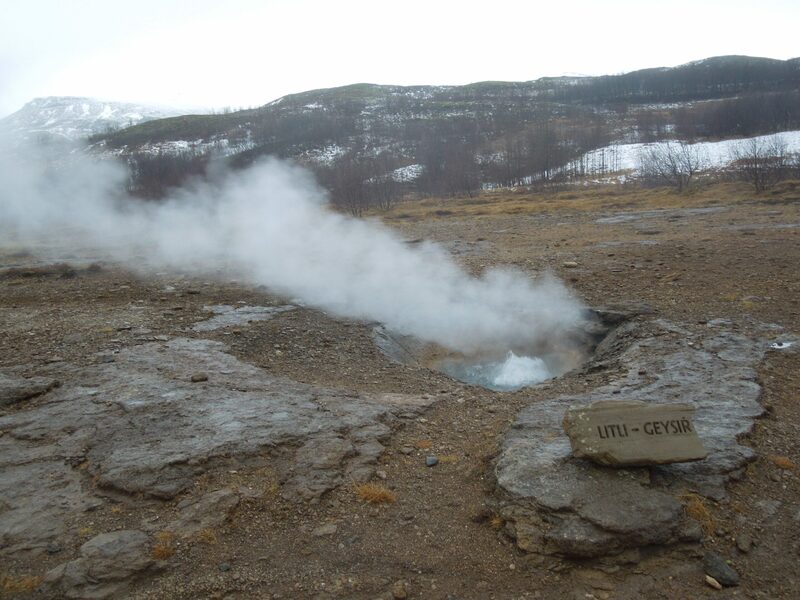 On my 3rd day in Iceland, I went on a tour of the Golden Circle with Reykjavik Excursions. 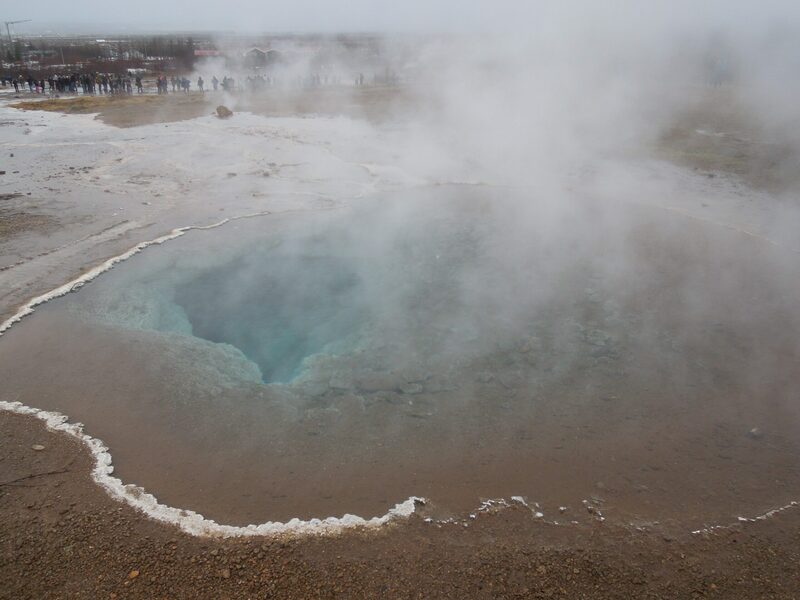 This six hour journey took me (and a packed bus full of tourists) to Thingvellir National Park, a hot spring hot spot home to the famous Geysir and the astounding Gullfoss waterfalls. 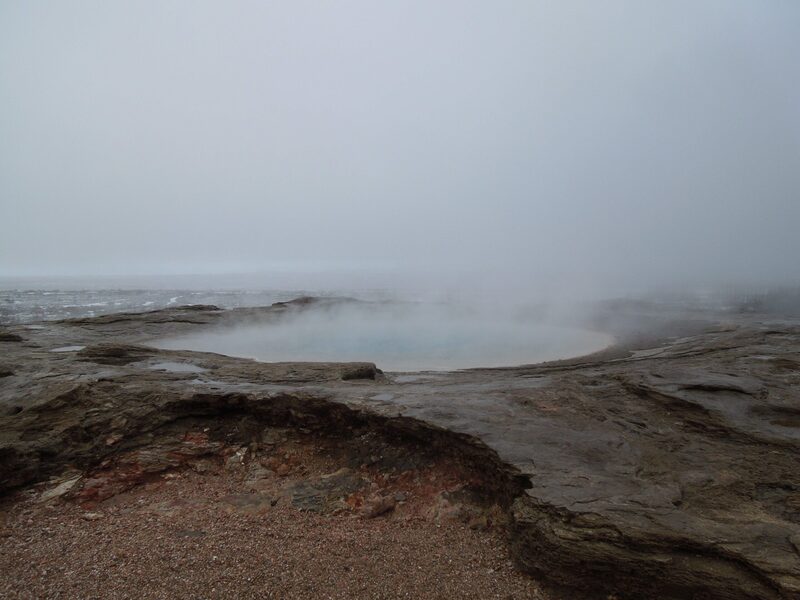 Unfortunately, the bad weather kept up and we were met with dark clouds and rain for most of our Golden Circle tour. 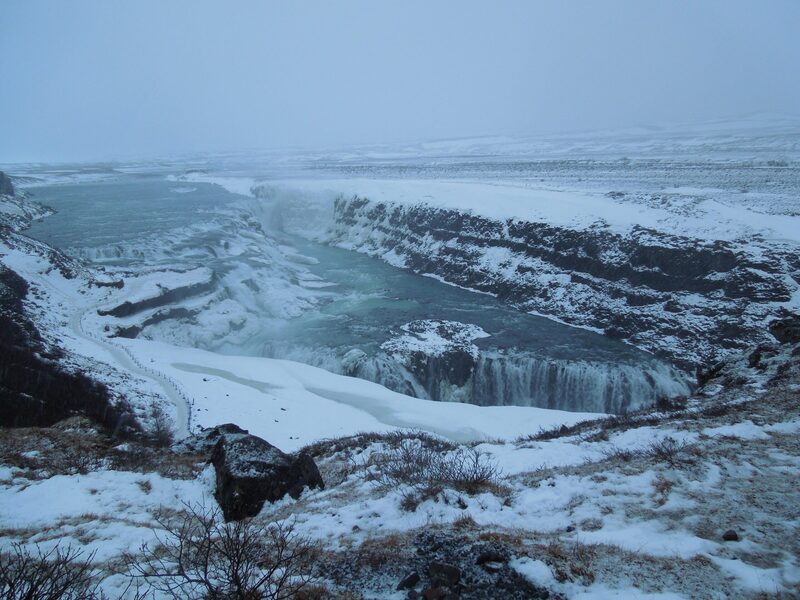 At our final stop at Gullfoss, Mother Nature decided to have even more fun by throwing some snow and freezing wind our way. It must have been comical to see a huge herd of people covered in white fluff and shielding their faces on the way back to the bus. The famed Northern Lights have still been avoiding me. I’ve been scheduled to see them every night since I’ve arrived but each day my tour gets cancelled due to crap weather. Only 2 nights left for things to hopefully turn around! 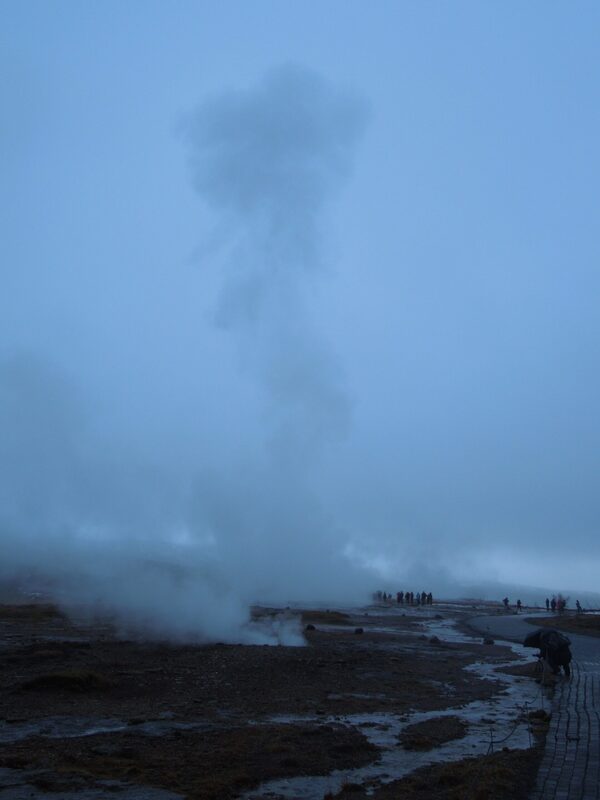 Besides that, my remaining Iceland itinerary after the Golden Circle includes a walk up to the viewing deck of Perlan and a tour of Iceland’s southern coast. 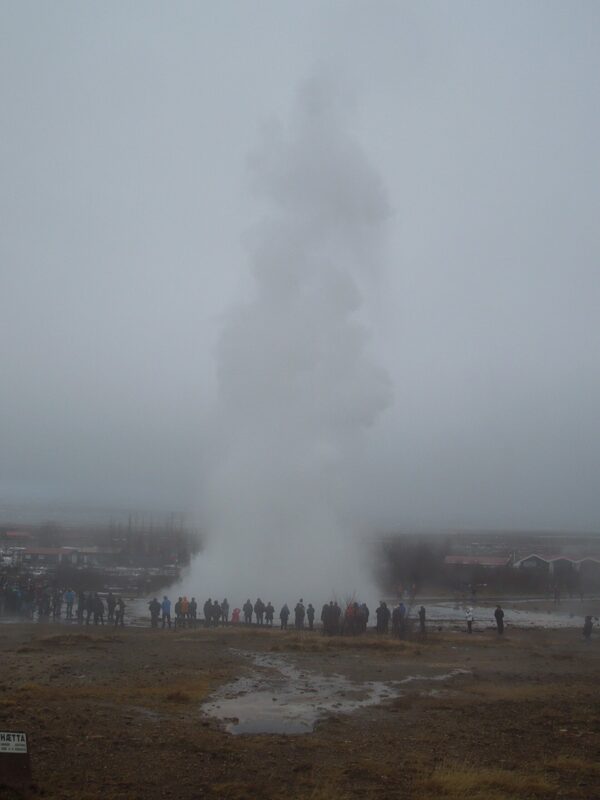 Appreciate your post as I am heading to Iceland in March. Looks mighty cold but still magnificent nonetheless. Hope you get to see the NLs! Thanks! You should be able to get some more sunlight hours in March. I hope you have a great time! Wow, the geography looks amazing. Cold, but still very beautiful. It looks like you need better outdoor wear, if you are going to do these colder climate excursions eh? Hope you get to see the Northern Lights Ri! The landscapes are insane here! I can see why Game of Thrones did some filming here last summer. Agreed, my coat isn’t cutting it. But I’m hoping, aside from Antarctica, not to have any more cold places on my to-visit list!